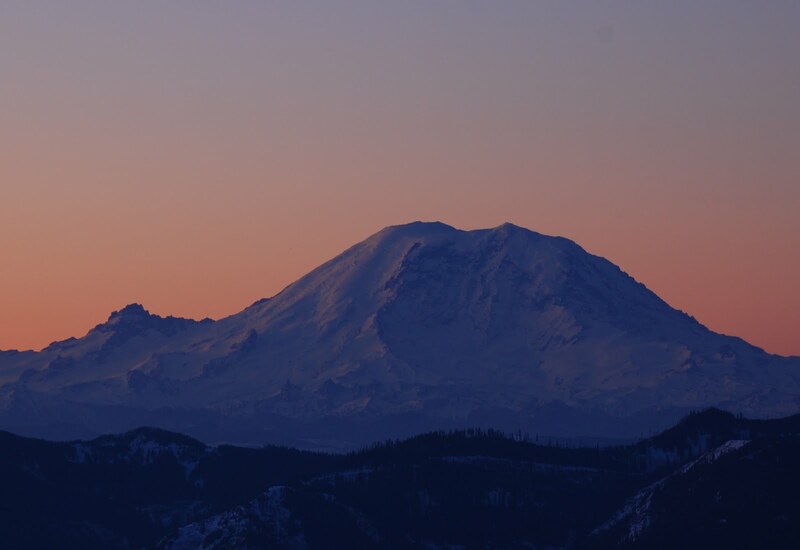 Sunrise greets Mount Rainier (14,411ft) from Mount Si (4167ft). Little Tahoma Peak is visible to the left, and Curtis Ridge and Liberty Ridge are seen following the view to the right. An excellent diagram of climbing routes helps visualize this face, which is the view from the north.